Remember the Pansies? And a Goodreads Giveaway! Remember back in January when I found a cluster of pansies blooming in my garden? I am happy to say that they have officially survived the winter! Not only did they survive, they brought reinforcements! 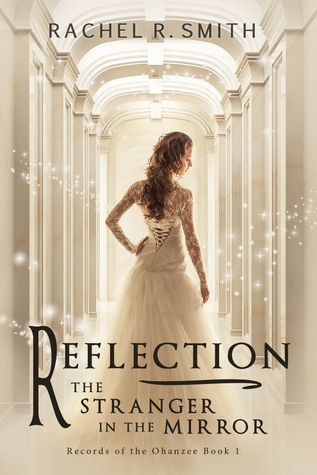 Also, for those of you who use Goodreads: a giveaway just started today for a chance to win a paperback copy of Reflection: The Stranger in the Mirror. Click through the widget below to go to Goodreads and enter! The giveaway is running today through March 22. And if you don’t win this time, don’t get discouraged! There will be at least two more giveaways in the weeks leading up to the release of book 3.Good luck! Giveaway ends March 22, 2016.
i kept trying to enter the Goodreads giveaway but “it” i could not “enter a new account.” i kept getting a response saying that email already taken or something, etc. i may have to buy a kindle (or get my wife to enter). well, anyway, some day! You need to have a Goodreads account to enter. Could it be that you or your wife already have an existing account using that email address? The giveaway is for a paperback copy, so no Kindle needed. ^_^ Hope that helps!